When the work day is done and it’s time for laughter on the porch with friends, there’s no better accessory than a glass of good wine in your hand. Unfortunately, in these days of rapid climate change, conservation and the wine industry are increasingly at odds. Every time we buy a bottle now, there are lots of questions riddled with eco-guilt: Is it better to buy a glass bottle or paper box? Cork or no cork? Organic or biodynamic? Did this glass of wine displace precious wildlife? As I reported earlier this year, demand for cooler climate wines, like pinot noir, has grown over the past decade. As climate change causes California’s interior valleys to heat up, vineyards have begun to eyeball the cooler regions of Northern California and Southern Oregon–coincidentally the same limited regions where redwoods flourish. 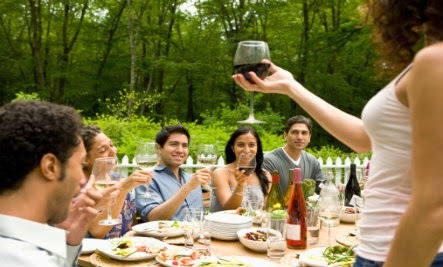 Putting wine lovers in the position of deciding whether their favorite beverage is more important than age-old trees. Luckily, there are some wine makers that realize the importance of working in harmony with the planet, rather than in opposition to it. Recently, I had the opportunity to taste test some wines from just such an eco-conscious wine maker: Concha y Toro. What I found most impressive about these wines (besides the delicious taste) is the creative ways they’re working to preserve the land in and around their wineries. 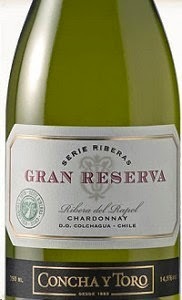 Gran Reserva Serie Riberas Chardonnay – I typically do not like chardonnay. I find it bitter and dry in the worst ways. But this chardonnay was a pleasant departure. Although the acid was still there, it was muted and palatable. The stronger flavor was of tropical fruit with a soft, clean mineral notes beneath. We enjoyed it with some grilled halibut and greens, and it was delicious. 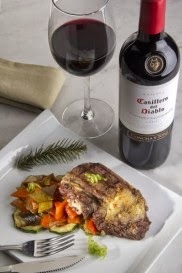 Casillero Del Diablo Reserva Cabernet Sauvignon – While I love all red wine, I’m typically a pinot noir kind of girl. I like my fruity wines, what can I say? This wine gave me another reason to consider Cabernet Sauvignon with dinner, however. The flavor was rich, but those fruity notes–cherry, black currant and dark plum–were still there to balance out the dryness. We enjoyed it with steak tips with a horseradish dipping sauce and sweet potato mash. Wine production carries a significant water footprint, but with strong mitigation strategies in place, Concha y Toro uses 25 percent less water to produce a glass or wind than the estimated global average for the wine industry. As the climate changes, Concha y Toro has chosen to place their newest vineyards in places that are naturally resistant to temperature changes. The “Riberas” or “riverbank” series is cultivated in areas with lower temperatures moderated by natural elements, like nearby rivers, elevation, and ocean breezes. Like many wineries, Concha Y Toro is responsible for both cultivated and unplanted lands and forests. Rather than clearing these areas, the winery again seeks balance. Concha y Toro is committed to the conservation of 8,000 acres of Chilean native forest planted in harmony with their vines. Lastly, the bottle. As of 2014, Concha y Toro has been able to reduce its carbon emissions by 3.3 tons, just by using lighter weight glass bottles.